If you wish to give an Asian touch to your living room, bamboo themed decor can be one of the several elements to add to your room. 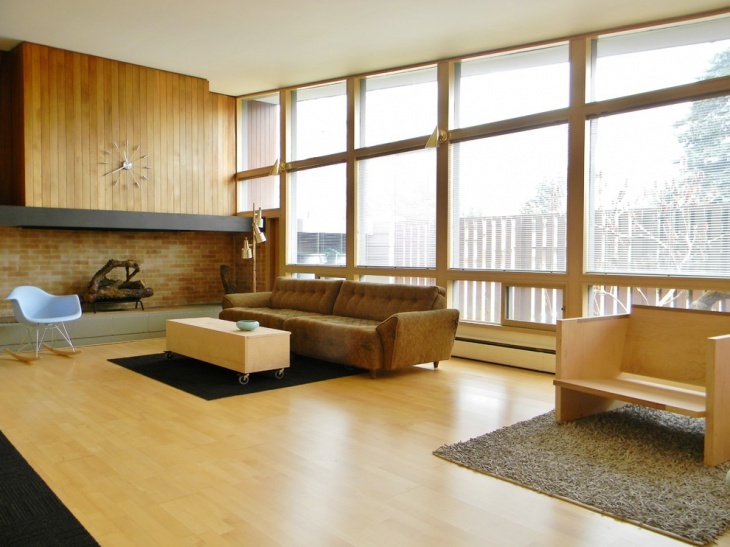 The look of bamboo is as timeless and as elegant as wood.Having a bamboo decor to your living room will certainly give a modern and at the same time original look to your living space. With so many designs, colours and styles available it is a misconception if you think you think that bamboo limits the scope for experimentation. Today, we have enlisted a set of living rooms that have been beautifully incorporated with bamboo decor and if not the best they might just inspire you to think differently about incorporating bamboo in your room. 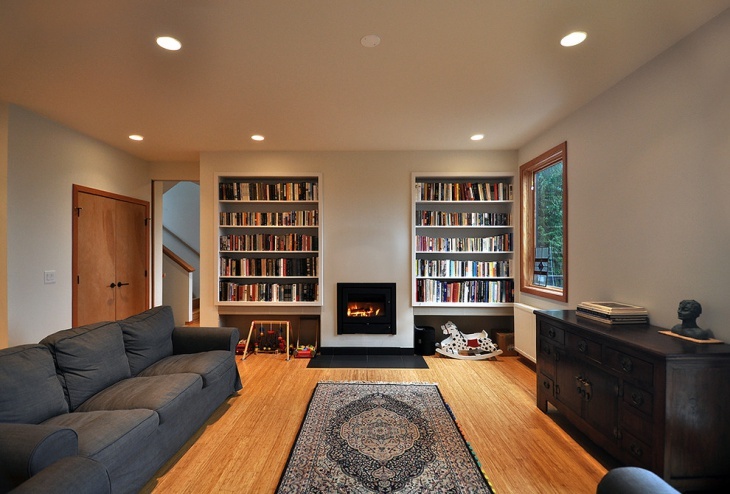 One of the ways to include bamboo in your living room would include the material in your flooring. 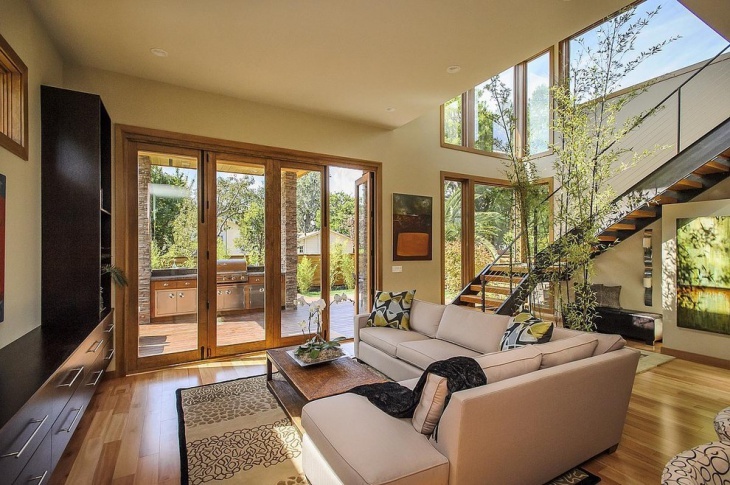 It looks visually similar to wood but it is a lot more cost-effective and easy to maintain. 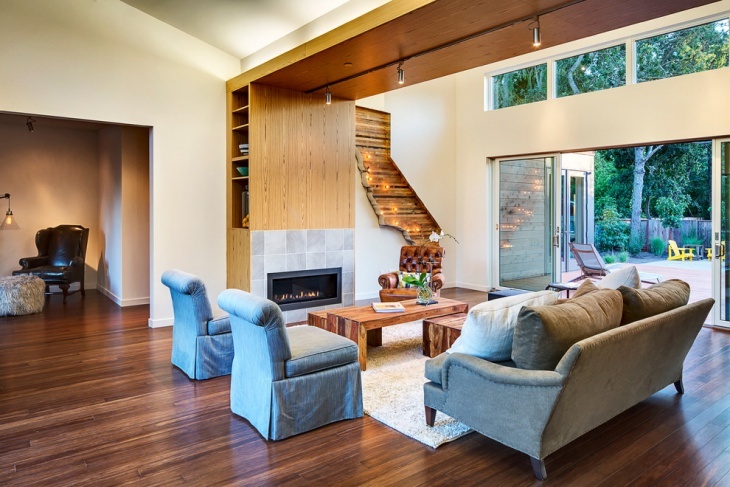 Bamboo flooring acts as a beautiful contrast to a well-lit living room. The bamboo can be stained, varnished or used as it is. In case you have a particular colour in mind, the look can be easily adjusted to it. Bamboo has cool characteristics, therefore, is good for air circulation in warmer months. 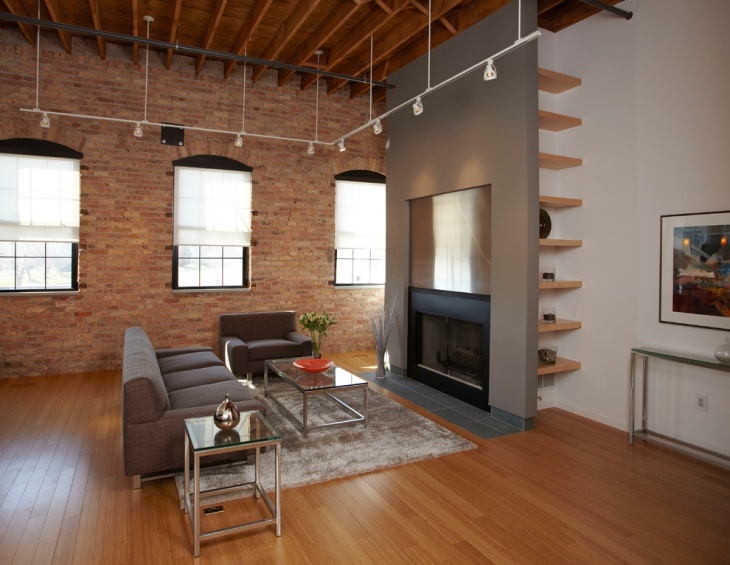 If you have an exposed brick or stone texture to your living room, the bamboo look can be another classic addition to your space. 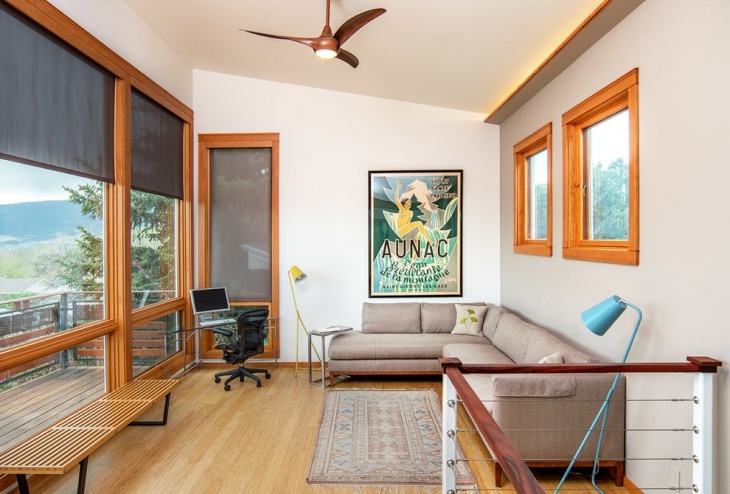 Include bamboo roller blinds instead of the traditional curtains or drapes on your window panes. The look is both unconventional and stylish. 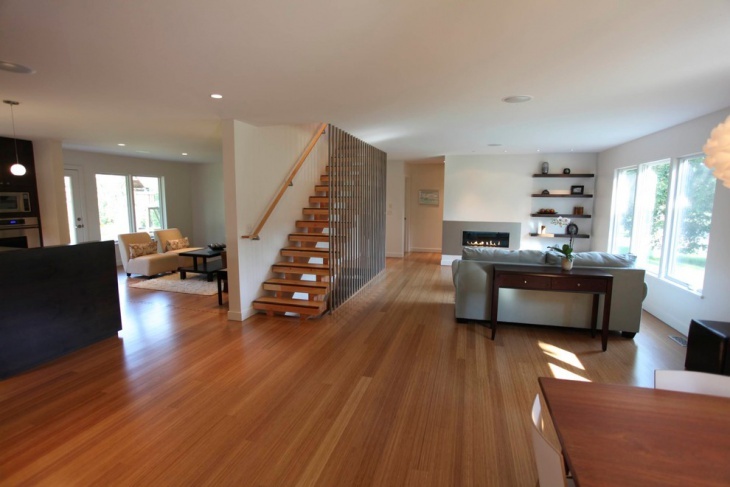 Bamboo can be included in the flooring of your house in numerous ways. 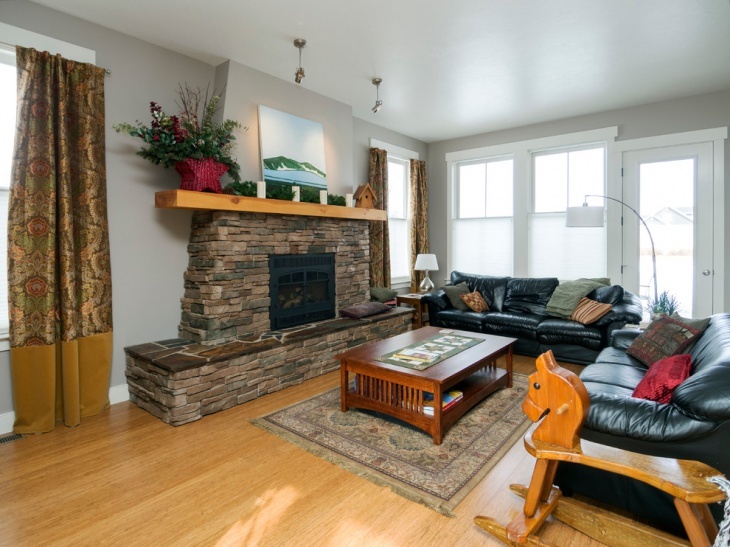 You can choose to give it a shine or go for a rustic look, the choice is all yours. 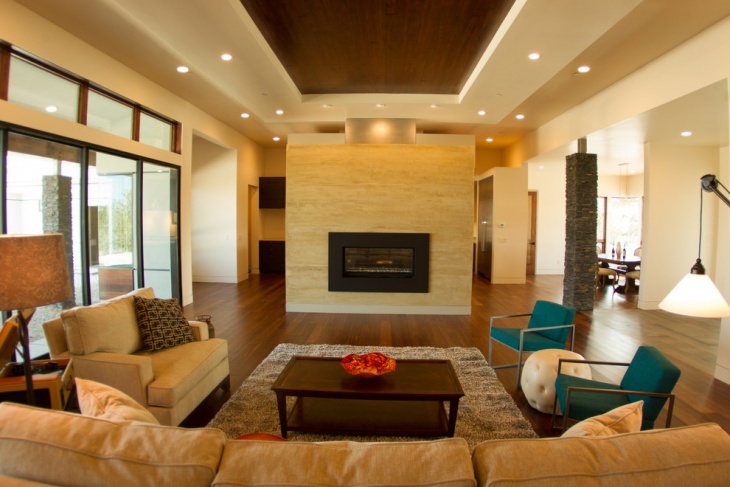 Bamboo can be fashionably included in the ceiling of your living room. 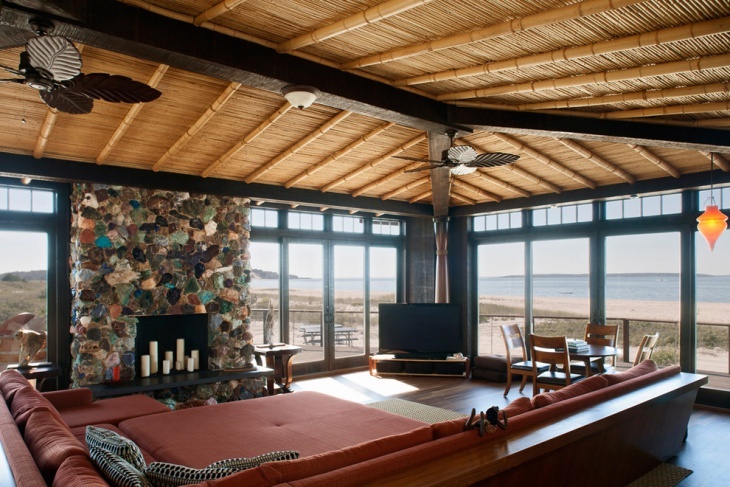 Bring the look of Bahamas beach to your house with this bamboo ceiling. 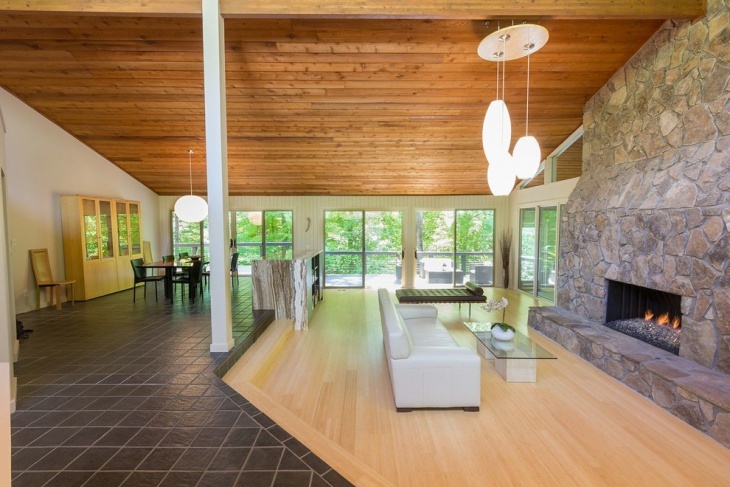 The bamboo ceiling is naturally strong than many hardwoods. Along with being sturdy it can fit into many styles, and helps to bring a missing texture to your room. The bamboo material helps to add on to the warmth of the furniture in your room. 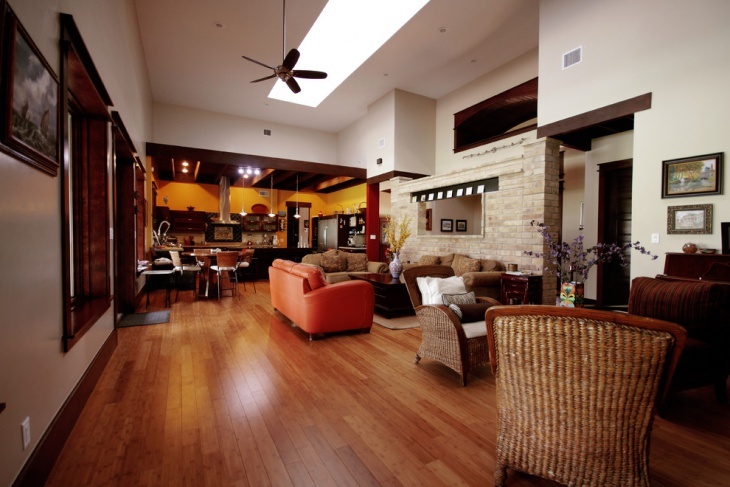 Bamboo woven flooring is another way to include the material in the room. 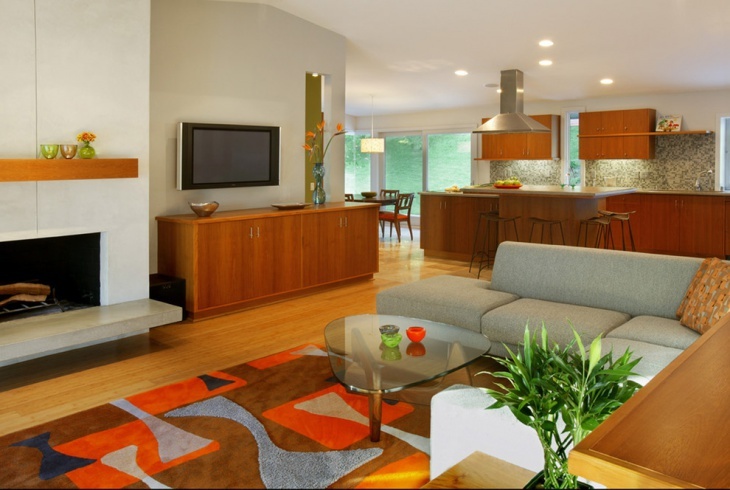 The flooring is sleek and gives the classic elegant touch to your living room. 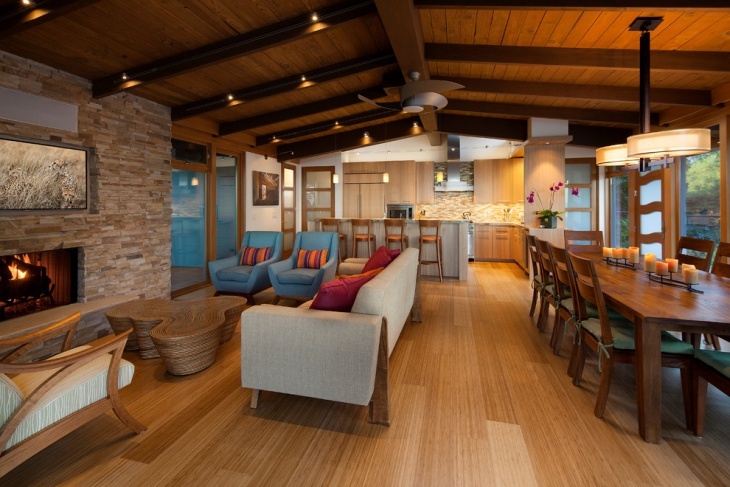 Bamboo can even be included in the form of planks on your roof. 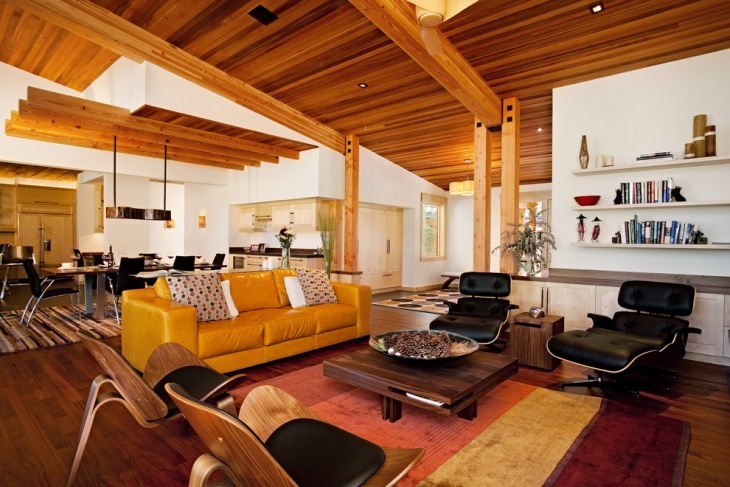 The look is refined and will give a sense of length to your room because of the shape of the bamboo logs. A very unusual way to experiment with the look of bamboo would be to arrange it creatively on the wall. This edgy arrangement acts as an artwork for your room and can even be used to frame the shape of your room, walls and even your window frames. 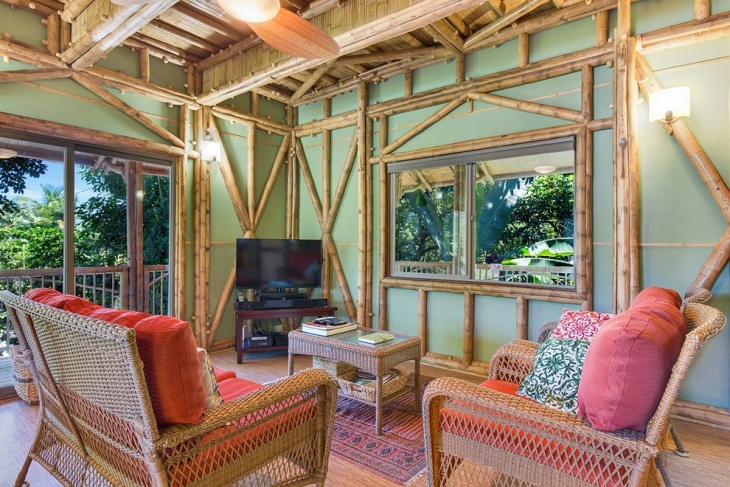 Bamboo can also be included alongside the frame of sliding doors to your balcony. The bamboo frame helps to bring an elegant touch to your room minimally. The look compliments well with pastel shade textile furniture and a neutral coloured wall. 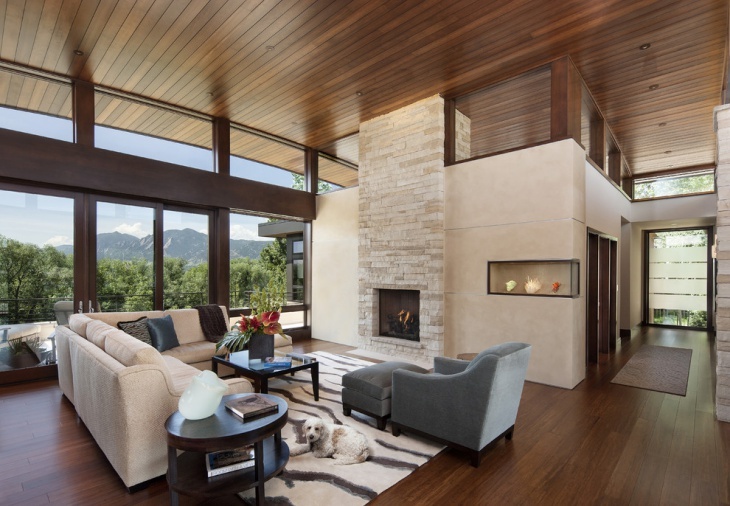 If you truly love the look of bamboo you can include the material for the flooring, roof and even across the wall. Express your love with style and ease and make the material count. Bamboo has all the necessary characteristics to make your living room look elegant, comforting and aesthetically pleasing. 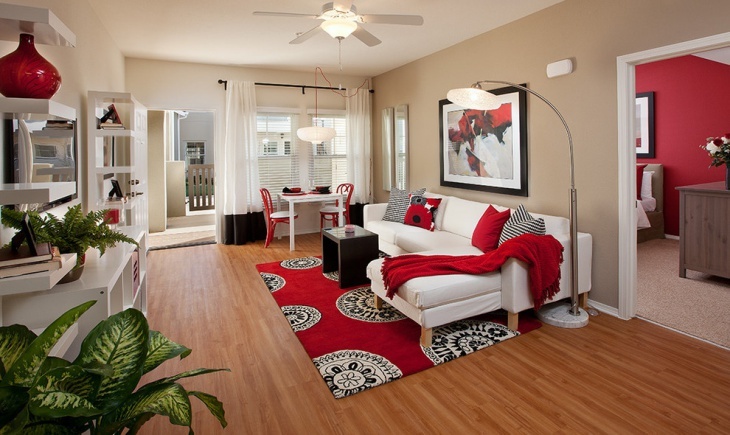 Try and include the look to your decor and bring a pleasant transformation to your living space.